The GO Isotonic Energy Gel was the world’s first isotonic gel effectively delivering an easily digestible and quick supply of carbohydrate for energy during exercise. They are designed to be consumed without water, minimising the risk of being bloated that can sometimes occur with over-drinking. Provides you with 22 grams of carbohydrate per gel. Consume 1-3 gels per hour to deliver approximately 60 grams of carbohydrate and maximize carbohydrate utilization rates. Alternatively, take one halfway through repeated high intensity exercise (such as football or rugby) to rapidly replenish glycogen stores. 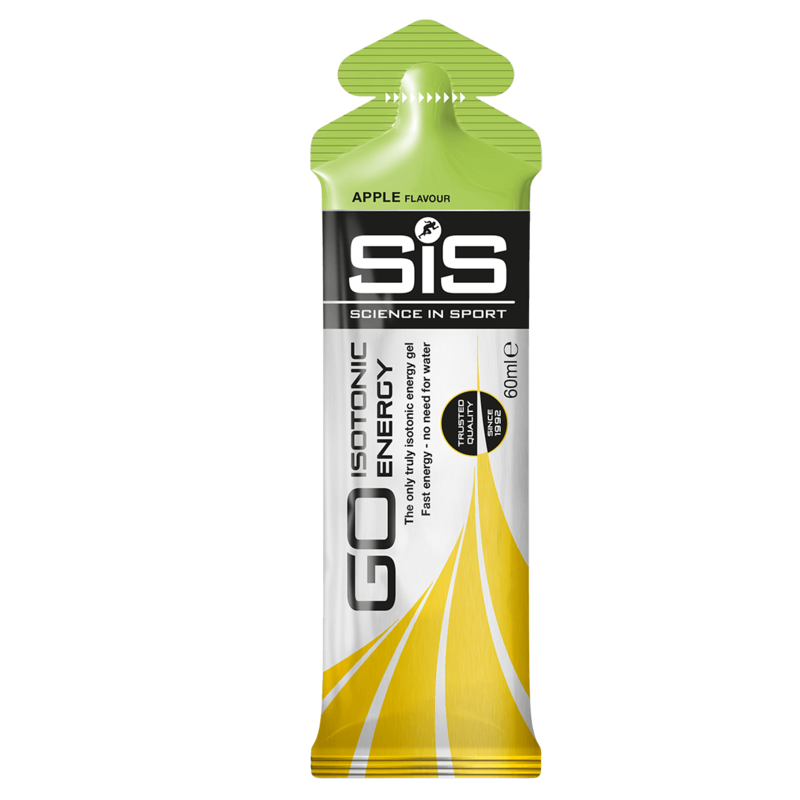 Where hydration is also important, SiS GO Isotonic Gels can also be consumed with SiS GO Hydro or with SiS GO Electrolyte to ensure a combination of both energy and fluid delivery during exercise. SiS GO Isotonic Energy Gels are triple tested under the Informed Sport Evolved Certification program. This approach involves the testing of all raw materials, twice annual manufacturing facility testing and finished product testing.